Take a walk around Madrid with a local guide, and see another side to this beautiful city. Walking with a local tour guide who shares insights and stories is the most eye-opening way to tour the classic sights of Madrid. This walking tour offers a complete overview of the city from the ground up. Virtually every major site in the city center is covered, including skip-the-line entry to the Royal Palace. Numbers are limited to 12 people on the Habsburgs tour. With plenty of photo opportunities and chances to pause and soak up this city's unique atmosphere, this walking tour of Madrid is comprehensive, but not too strenuous – in other words it’s the perfect sightseeing tour! 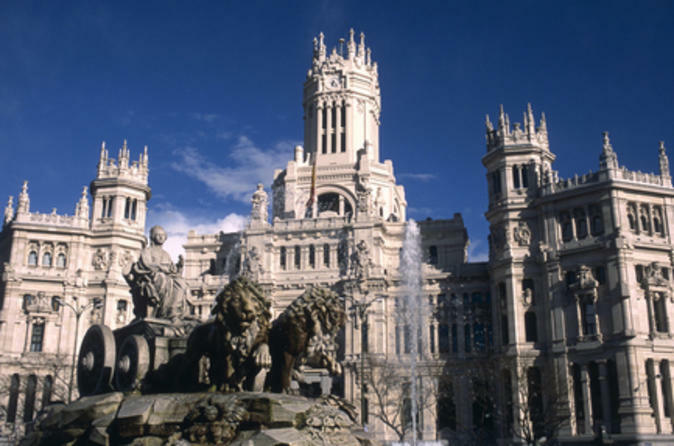 Along the way, your friendly guide will share the history of Madrid and its famous monuments, people, buildings and boulevards. You'll have the freedom to set your own pace and the chance to stop at one of the many local cafés after your tour has finished; choose from the grand buildings of the Renaissance and Baroque eras to tiny neighborhood tavernas. During the tour, you'll also stop at a traditional café to enjoy a complimentary drink. Then skip the line inside the Royal Palace of Madrid (or Palacio Real de Madrid in Spanish), famous for its magnificent gardens and for being one of the most beautiful palatial complexes in Europe. See the Plaza de Oriente, the Sabatini Gardens and the Campo del Moro. The former residence of the Spanish royal family, the palace was built in the 18th century; today it plays host to formal occasions and state ceremonies. You'll also see its interior, with its beautiful porcelains, tapestries, furniture, armors and paintings.